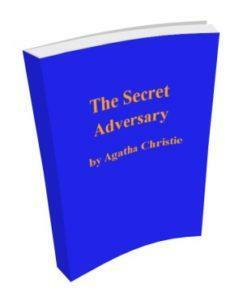 The Secret Adversary is a classic mystery fiction by Agatha Christie. Start reading here then download the free eBook (free pdf). “Then be ready–I’m going to say good-bye.” He took her hand in his. “Good-bye. Good luck to you,” he said in a louder tone.